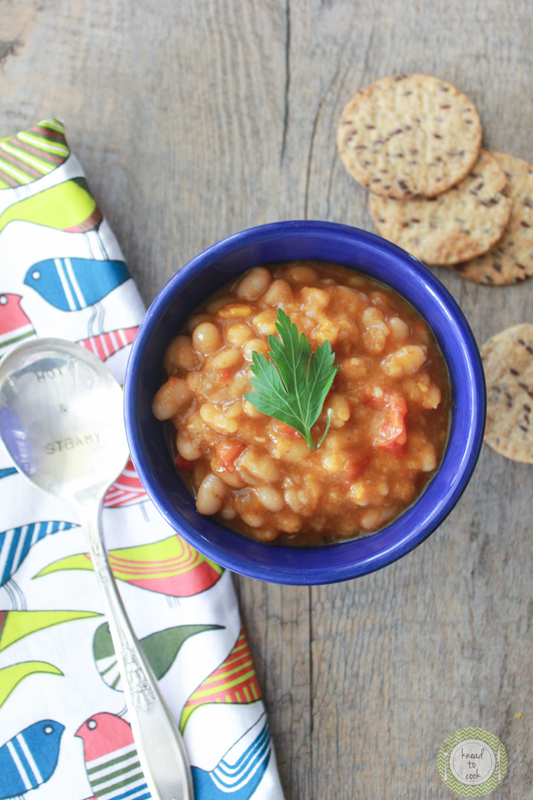 White bean chili in the crock pot. Three days into the flu and I’m starting to feel human again. Race day is Sunday and I’m still torn if I’m doing it or not. I’m hoping to do it just at a slower pace but get back out there. Who has ever heard of getting the flu in April? My doc thinks that I have a milder case and that the Tamiflu will help but he wasn’t sure about race day either. I’m done with my meds on Saturday. We shall see. Fingers crossed. 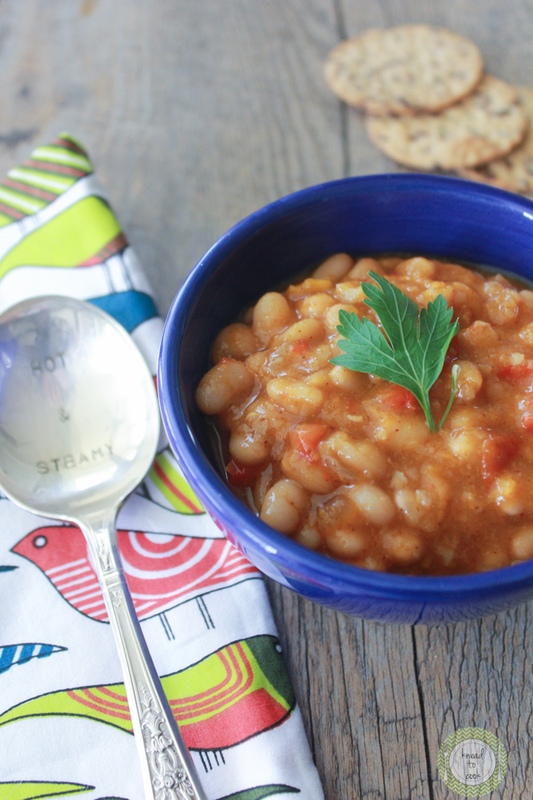 Well I whipped this quick white bean chili recipe up on Tuesday after I saw the doc. It was so easy and I knew that way my family would have a nice dinner on the table even if I buried under the covers in my bed warding off the chills. The dinner was really tasty – I had it for lunch yesterday. Perfect Meatless Monday idea or anytime you need a quick dinner without a lot of effort. Drain and rinse your beans thoroughly. Then add them along with the other ingredients to your slow cooker on the low setting. Give it a good stir. Cover and let cook a minimum of 4-6 hours. Serve and enjoy. Optional: If looking for a meat version, you can always cook up some ground turkey first and then add it along with the other ingredients to your slow cooker. Just want to make sure I have the proportion correct. Do I start with 4 cups of dry beans then soak them or do I start with 2 cups of dry beans which should give me about 4 cups once soaked? Lucas, I’m looking into adding nutritional stats on each recipe but don’t have that yet. Stay tuned.